At times, you get ideas from the back of some store bought packs and you decide to give it a try. 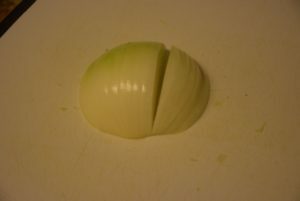 The same happened with me, when I bought a celery(green stalks used in salads or soups) pack from Walmart. 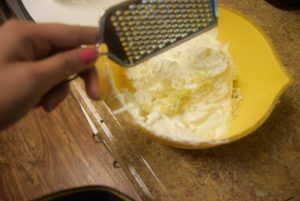 The recipe is adapted from there. 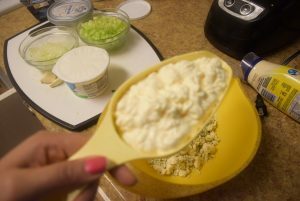 You may alter it to suit to your taste , but for me and my family ,this was a perfect dip to be used with sandwiches or salads or Falafel. 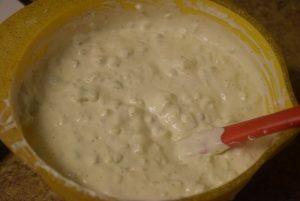 🙂 It can be prepared three days in advance and kept in refrigerator without any doubt. 1. Bring the ingredients to room temperature. 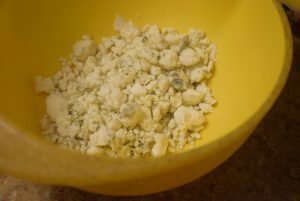 For Blue cheese, I used the crumbled blue cheese, but if you are using whole blue cheese, crumble it with a grater or cut it with knife in small pieces. 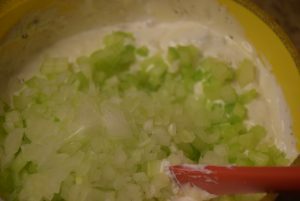 Prep the onions and celery sticks. 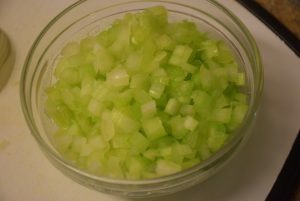 Chop some celery sticks finely and others in one third lengths or as your preference. 2. 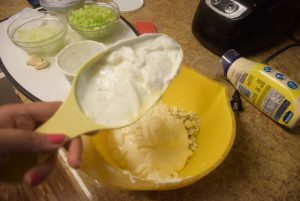 Mix all (cream cheese, sour cream, mayo, blue cheese and garlic) well in a bowl with a spoon . 3. 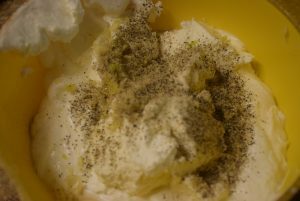 Add salt and black pepper and mix again. 4. 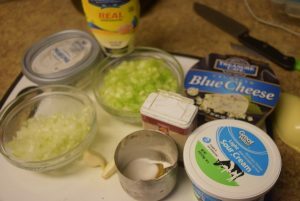 Add the chopped celery pieces and chopped onions now and give a quick mix. 5. 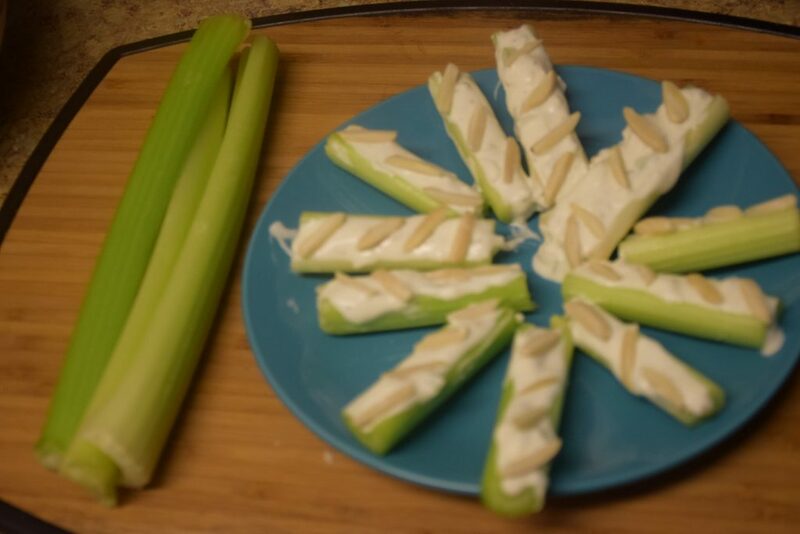 Now scoop them in celery stalks cut in half or one-third earlier. 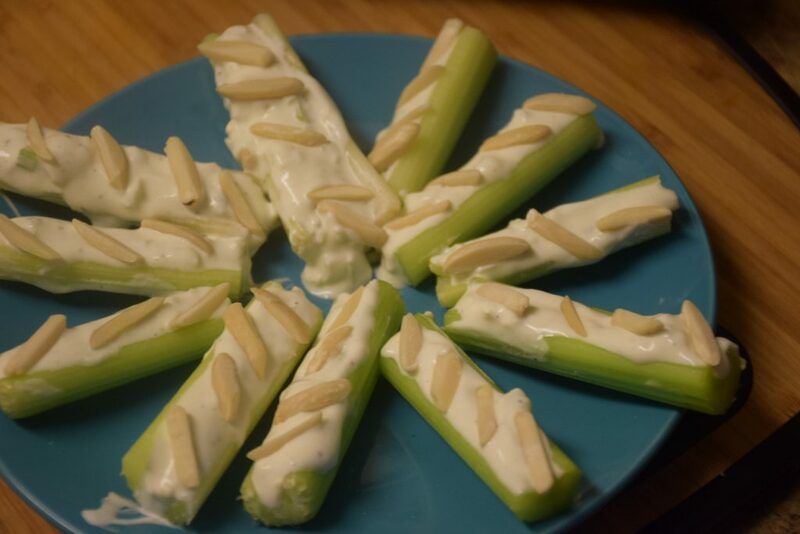 Garnish them with silvered almonds and serve. 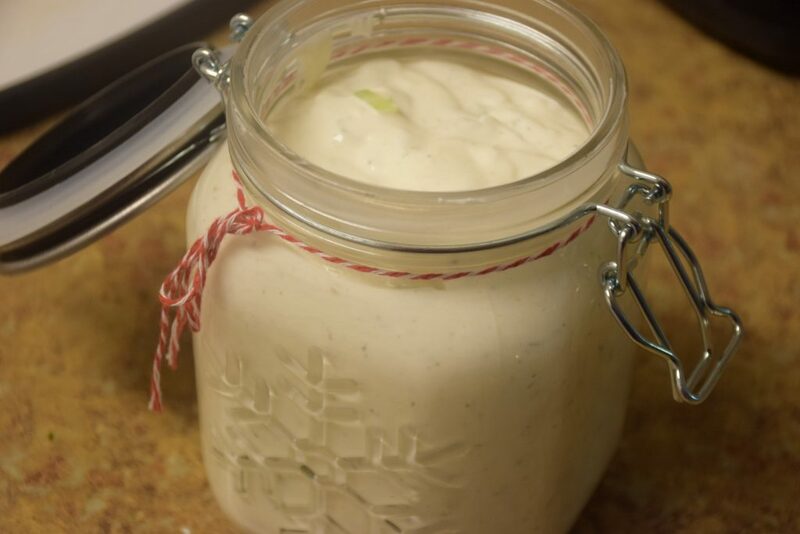 You may store the leftovers in a glass jar or container. Please add your thoughts below in comments ! We love to hear from you! 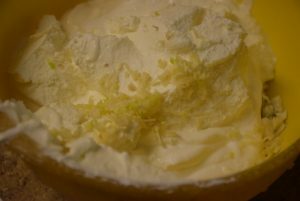 Thanks for visiting this recipe ! 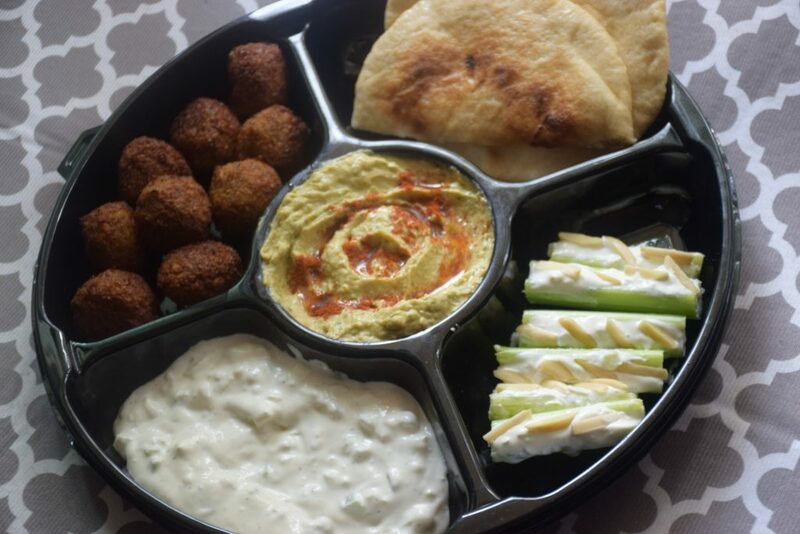 This entry was posted in Dips and pickles, Food, Recipes and tagged bread pakora, Carenshare, celery dip, chips, falafel, fried food, healthy, hummus, needs assembly, samosa, sandwiches, shweta jindal, store-bought, tzatziki, used with salads, white, zindagisikhati.